Make magic in the kitchen again with our complete fresh & easy 3-course meal plans. Everything you need to make hearty weeknight dinners or a fabulous special occasion meal is right here. Each meal plan includes a complete grocery list of simple, inexpensive ingredients and straightforward instructions are included for every expertly-crafted recipe and will help you create the meal you deserve from a delicious main course to spectacular sides and a decadent dessert without any extra legwork. Put the takeout menus down and leave the planning to us. Together, we’ve got this. Become a member of RecipeSavants and check out our 3 course menu plans, it has all the recipes for this menu with the complete shopping list in a single easy to download and print PDF. Every month I will release at least 4 new menu plans per month so you will never be short of great and simple ideas for dinner. I have done all the hard work so you don't have to. 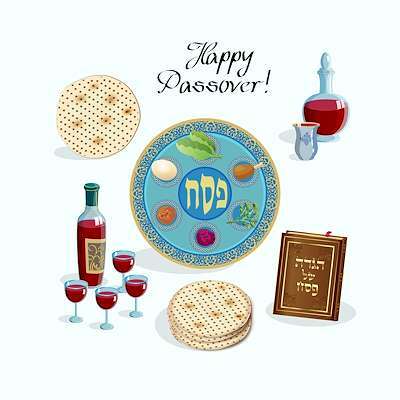 For Jewish people across the globe, Passover is a sacred feast that features Kosher food without yeast or leavening agents. Start out with a steaming bowl of traditional Matzo Ball Soup paired with Tzimmes and a savory Potato Leek Kugel. For a sweet ending, try my Chocolate Toasted Almond Torte with a refreshing Sparkling Paloma cocktail. With Spring comes Easter and the renewal of life. 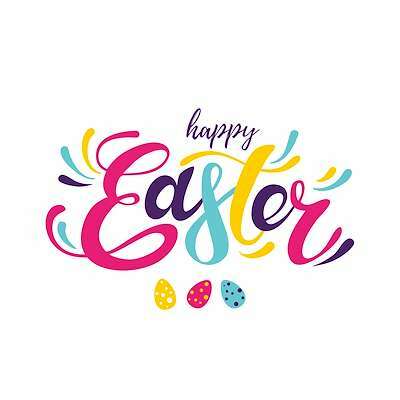 My delightful Easter Menu offers the refreshing flavors of the season, starting with crunchy veggies, Green Goddess dip, and zesty Deviled Eggs. Enjoy a tender slice of Bourbon-Honey Glazed Ham with a side of homemade baked beans and Minty Peas. While you dig into a tempting slice of my Lemon-Buttermilk cake, toast the season with a refreshing Sweet Whiskey Marmalade cocktail! Bring a touch of culture & international flavors to your table with my exciting Old Russian Feast Menu! These easy recipes feature traditional Russian fare, such as scrumptious stuffed mushrooms and authentic Ukrainian borscht. Enjoy a plate of creamy Olivier salad with slices of hearty buckwheat bread. End your feast with my sweet Napoleon and shots of flavored vodka. Are you searching for some yummy fish-forward dishes for the Lenten season? 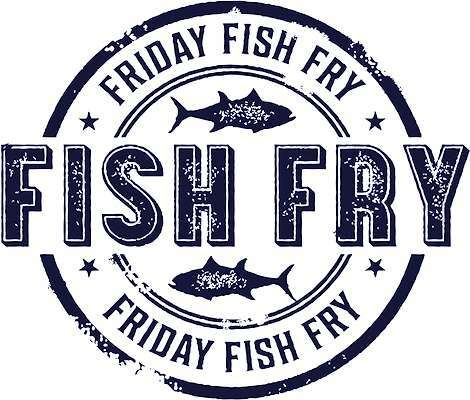 How about trying my scrumptious Wisconsin Fish Fry Menu! Enjoy a hefty platter of beer-battered fish with crunchy Potato Pancakes. Serve with my Creamy Coleslaw and plenty of Homemade Tartar Sauce. Have some tasty Homemade Applesauce for dessert with a refreshing Boozy Arnold Palmer cocktail. Want a delicious way to get the recommended daily servings of vegetables? Try my innovative & delicious Veggie Café Menu! Start with a savory Veggie Antipasto and homemade Focaccia with Tangerine & Calabrian Chilies. Enjoy Italian-style Veggie Minestrone and save room for a sweet dish of Limoncello Granita. Quench your thirst with my refreshing Campari with Rye Negroni! You don’t have to be in Rome to cook like the Romans! My easy Italian menu starts with a delightful Panzanella Salad paired with steaming bowls of Sausage & Bean Soup. Enjoy crusty homemade Italian Bread with plenty of herb-infused Compound Butter. Finish with my decadent Italian Trifle With Marsala Syrup and a refreshing Cava Spritzer! No one does hearty meat & potato comfort food like America’s iconic steakhouses! My scrumptious menu features your favorite steakhouse specialties, like French Onion Soup and juicy Sirloin Steak. Elevate your baked potato with my Fully Loaded Baked Potato and satisfy your sweet tooth with Chocolate Waffles a la Mode. Relax with refreshing beer-forward whisky sours. Get the steakhouse experience right at home! 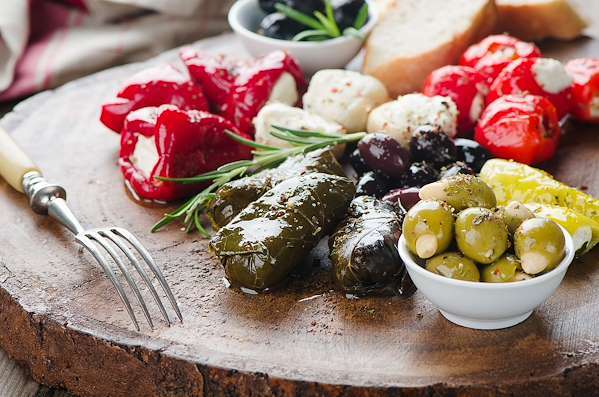 Eastern European cultures are rich in history and culinary diversity. Sample some of their delicious dishes with my 3-Course Eastern European Menu. Try a steaming bowl of bell pepper soup and a mound of fresh egg noodles covered with savory Hungary Chicken Paprikash. Cool your taste buds with a delightful cold sour cherry soup and a fresh Warsaw Mule cocktail! 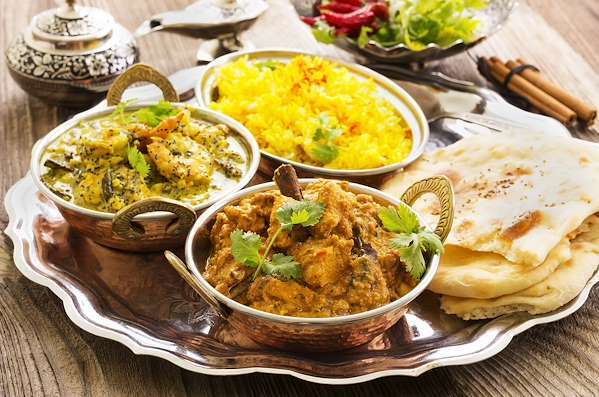 Indian cuisines are world-renowned for spice-forward flavor. Try my custom Indian Comfort Food Menu, which features easy dishes like Dal Tadka and Shrimp Biryani. Serve them with a zesty side of Masala Chana and two traditional Indian sauces. Cool your palate with yummy Indian rice pudding and a creamy cup of authentic chai tea! One of the many joys of a homemade meal is preparing comfort foods that your family loves. Wait until they try my delicious pairing of creamy leek & mushroom soup, stuffed turkey roulade and mouth-watering scalloped potatoes! Top it off with a tempting no-bake chocolate peanut butter pie. For the adults, relax with a classic Old Fashioned cocktail. Beginning at sundown on Friday and continuing until sundown on Saturday, Jews around the world gather with their family and friends to celebrate their faith. Regardless of how the family chooses to spend Sabbath, they all have in common is the remembrance, observance, and a beautiful family dinner. 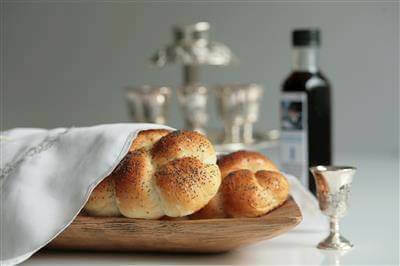 The following are some inspired recipes that you can share with your family and friends for Sabbath. Mexican cuisine is not only renowned for its spicy dishes, but also their innovative blend of sweet & savory flavor. My easy 3-Course Pomegranate Menu demonstrates the complex flavors of Mexican-inspired herbs & spices with the tangy sweetness of pomegranate seeds or juice. 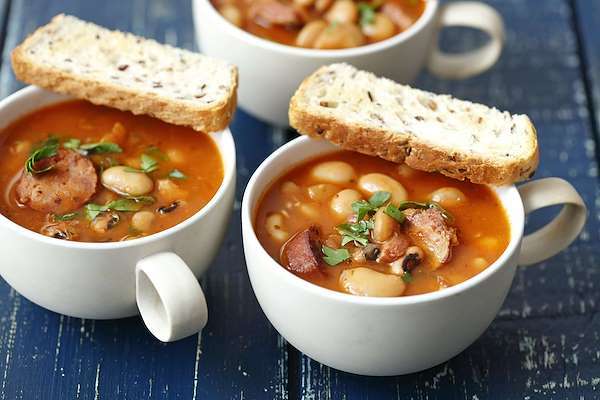 These are authentic dishes that you can easily make at home for your whole family to enjoy! If your family enjoys a steaming pot of chili, they will love my Tex-Mex-inspired chili dinner menu! Start off with some spicy jalapeno poppers with cilantro & lime dip. Ladle out generous bowls of the slow cooker chili and a side of jalapeno cornbread, then cool your palate with a sweet, velvety pumpkin flan and a unique Bul’s Eye cocktail. The ocean is loaded with scrumptious seafood treasures that are highlighted in cuisines around the world. How about treating your family & friends to one of my easy & tasty seafood menus? 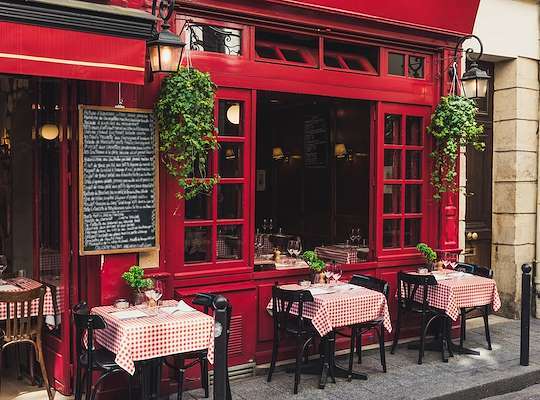 It features a tasty shrimp & frisee salad, a platter of tender mussels with wine & garlic and an irresistible chocolate truffle torte for dessert. It’s like coming home to your favorite seafood restaurant! Because our taste buds crave a variety of flavors & textures, most global cuisines have savory dishes that are pepper-forward. 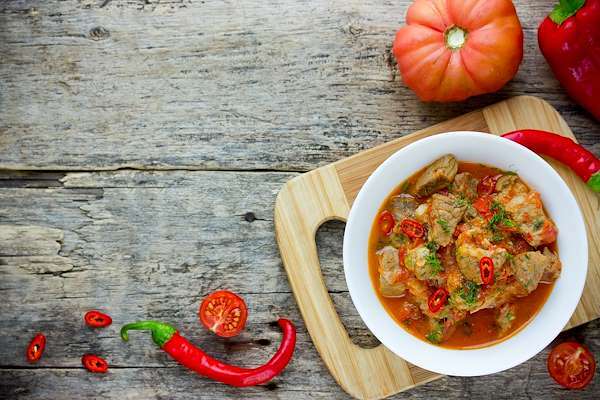 If you are a pepper enthusiast, you will enjoy my pepper-themed menu with a velvety tomato & bell pepper soup, cod with Romesco sauce, a hearty Spanish meat stew and a delightful sangria cocktail. Each Christmas Eve, most Italian-Americans celebrate the Feast of the Seven Fishes. It is a festive tradition that features fresh seafood dishes that are unique to Italian-style cuisines. Whether you have an Italian heritage or not, my easy & delicious Feast of the Seven Fishes Menu makes an ideal holiday dinner. Finish it with a cool, refreshing cup of homemade lemincello gellato! Prime rib is a perfect meal for a festive holiday table. This decadent yet drop dead simple meal will impress your guests without stressing you out. Almost everything can be prepared earlier in the day and reheated as the rib is roasting. I love this menu, and often feature it for my Festivus celebration. Commemorate the wonder and beauty of Hanukkah with my quick & simple Modern Hanukkah Feast Menu. I have compiled traditional favorites like crispy potato latkes with sweet homemade applesauce. The savory brisket is fork- tender and seasoned with aromatic herbs & spices. For dessert, try the tempting jelly-filled sufganiyot. Toast the Jewish Festival of Lights with my delicious sufganiyot-inspired cocktail. Christmas dinner has been a beloved family tradition for centuries. Like Thanksgiving, it is a memorable time to gather around the table and enjoy food, family and friends. Take the stress out of your next yuletide feast with my complete Classic American Christmas Dinner. 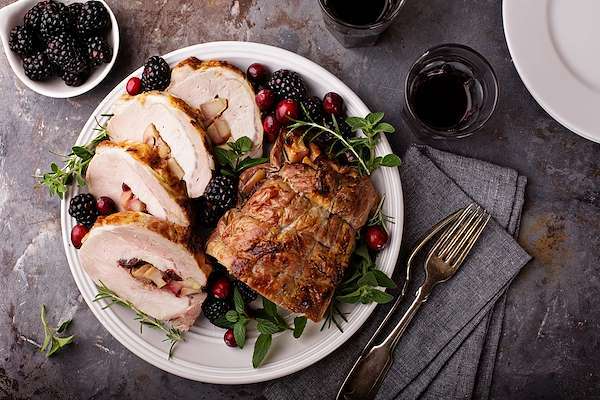 Serve your family a scrumptious stuffed pork loin roast with all the trimmings and toast the Christmas spirit with a cool Winter Moscow Mule. Whether you celebrate with family or special friends, Thanksgiving is an intimate time of food, fellowship and counting our blessings. For a tasty traditional feast without the hassle, try my Classic Midwestern Thanksgiving Turkey Supper. From the creamy caramelized onion & shallot dip to the tempting apple pie finale, you will have a meal that will make everyone feel grateful! If your family enjoys sampling flavors from around the globe, they will love this delicious Israel-inspired brunch. It has all the classic comfort dishes from the Middle East, like hummus, Baba Ganoush, and shakshouka. Enjoy a yummy chocolate rugelach for dessert with some fresh citrus punch. Since the early 1800s, Oktoberfest has been a time of food, fellowship and national pride in Germany. Whether or not you have German heritage, you can still rise a pint with friends and family and celebrate the bounty of harvest and friendship. Try my spin on classic recipes that are synonymous with the Oktoberfest buffet. Although pizza is an iconic Italian specialty, American’s have adopted it as one of our favorite dishes. Celebrate your love of this iconic dish, and turn your kitchen into a pizzeria and try this scrumptious menu. If you are a coffee enthusiast, you will be thrilled with this innovative menu that uses coffee as a secret ingredient. Whether it is combined in a salad dressing, infused in savory & spicy rub or a spicy red eye gravy, coffee can impart mouthwatering flavor, without being overpowering. This menu is easy to make and best of all utilizes a staple of simple pantry essentials. Most cultures have an autumn celebration to commemorate a bountiful harvest, such as the American Thanksgiving and the Jewish Sukkot. For Jewish people around the world, Sukkot means creating a beautiful tent that usually hosts al fresco meals. This is the season to pull out your best recipes, like the ones from my tasty Sukkot menu. Let me help you spend less time in the kitchen and more time with family and friends. Bring the colorful flair and exotic tastes of Central America to your table with our exciting menu, featuring a complete arepa buffet! In the Jewish tradition, Yom Kippur is a day of fasting during the Jewish day of Atonement. After not eating for over 26 hours, a lighter meal (normally dairy heavy) is served. Even though this menu is meat free – it is still delicious and satisfying. This year celebrate Rosh Hashana (Jewish New Year) with festive menu of Sephardi (Spanish Jews) inspired classics. This menu highlights the traditional foods that mean luck & prosperity – pomegranates, squash and pumpkins, carrots, and of course honey. Your family doesn’t need to be Jewish to celebrate with this festive menu, take a moment away from your busy life, and cherish a moment of solace with your loved ones around the dinner table. This year celebrate Rosh Hashana (Jewish New Year) with a chicken and rice forward menu of Mizrahi (Iraqi Jews) inspired classics. This menu highlights the traditional foods classic Jewish comfort foods: chicken, rice, pomegranates and beets. Your family doesn’t need to be Jewish to celebrate with this creative menu. This is a perfect menu for a Sunday supper, or a spin on a classic Shabbos supper! This menu features the spicy & savory notes of classic Vietnamese cuisine. Traditional Vietnamese cooks makes deft usage of herbs and spices, bringing out the already complex savory flavors without being overpowering at all. This complete menu, features a delicate spring roll, a spice forward main course soup, and a decadent Asian inspired doughnut. Give it a try you will love it. 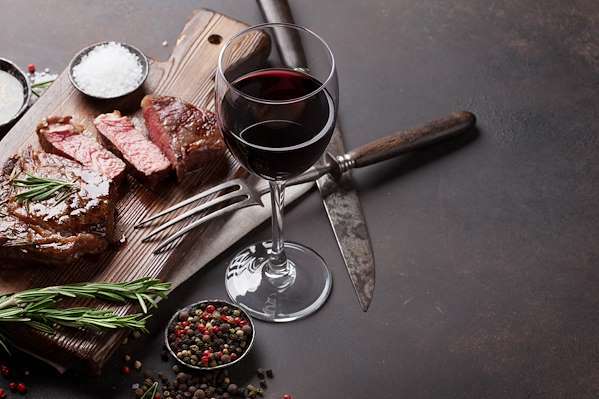 If you want a red wine that complements a variety of flavor profiles, consider pinot noir. It is a popular choice of wine enthusiasts because of its light body, floral aroma, and delightful undertones of vanilla and caramel. We crafted a unique menu that pairs perfectly with pinot noir. Make it a memorable dinner for two and include a couple of your favorite vintages to sample. Summer is the best season to explore the wonders of the outdoors and gather with family, friends, and delicious food. When you think of picnics, you think of a picnic basket that is loaded with quick, transportable dishes. Instead of the usual picnic fare, try this elevated menu that is easy and can be made in advance.